Last year, while promoting his debut thriller, “The Woman in the Window,” Dan Mallory praised the tradition of literary mimicry: “It is often said that ‘good writers borrow, great writers steal,’” he said in an interview with The Guardian, borrowing a phrase from T. S. Eliot. In retrospect, his choice of words was both surprisingly honest, and perhaps a clue to the depth of his deception. 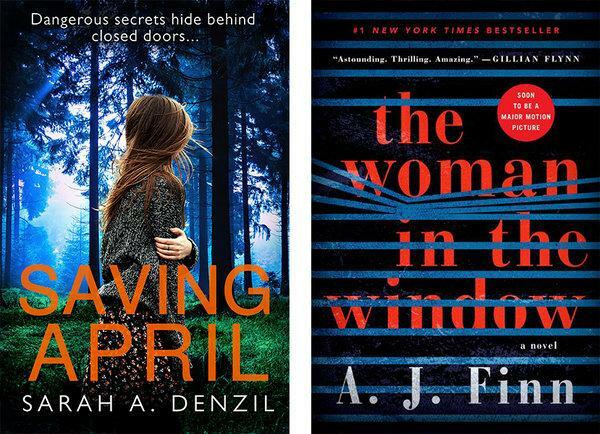 “The Woman in the Window” is also strikingly similar to a novel by Sarah A. Denzil, “Saving April,” which was published in March 2016, several months before Mr. Mallory sold his novel to his then-employer, William Morrow. At Morrow, a spokeswoman said Mr. Mallory’s novel was well underway before “Saving April” was published and noted that “the outline of ‘The Woman in the Window,’ including characters and main plot points, was fully formed by Sept. 20, 2015, before ‘Saving April’ was released.” Mr. Mallory declined to comment. In interviews, Mr. Mallory has said he started writing “The Woman in the Window” in the summer of 2015. He sold the book to Morrow in the fall of 2016. Stephen King and Ms. Flynn gave it enthusiastic blurbs, and a movie adaptation starring Amy Adams is set for release this fall. The paperback edition is due next month, and Morrow plans to publish a second book by Mr. Mallory. The questions surrounding Mr. Mallory and his work are unlikely to alter the novel’s upward trajectory. (It has sold some 378,000 copies, according to NPD BookScan.) Books with similar plots abound in fiction, and The New Yorker’s revelations centered more on Mr. Mallory’s private and professional conduct than on his writing. But the debate underscores how lines blur when considering literary theft and acceptable homage, and when the deployment of clichéd plot conventions becomes an egregious use of another writer’s work and ideas. Except for cases in which exact language is lifted without credit, or a character’s name and likeness are used, plagiarism claims against novelists tend to collapse in court, as they have in lawsuits brought against best-selling writers like J. K. Rowling and Michael Crichton. In an email response to questions from The Times, Ms. Denzil, whose real name is Sarah Dalton, said she was troubled by the overlap. After consulting several author friends, she decided to move on, and never considered taking legal action. Still, Ms. Denzil feels that some readers might misjudge her book, and it frustrates her that some online reviewers mistakenly believe her book was published after Mr. Mallory’s and that she had borrowed elements of his story. Recently, a handful of authors have come to Ms. Denzil’s defense. Shortly after the New Yorker article was published, the writer Kerry Wilkinson posted a thread on Twitter, linking to online reviews comparing the two books, and noting that Ms. Denzil’s was published first.